This SVG file structure and related ECMAScripts should assist authors of "SVG only" webmapping applications in creating 2D map navigation tools. For an introduction on why you should at the current time consider writing SVG only webmapping applications, see the selectionList tutorial. See an example of the SVG navigation tools. The scripts have been tested in Adobe SVG viewer version 3, version 6, Mozilla SVG, Opera 9 and Batik. They have been tested in multiple browsers and operating systems (Linux, MacOSX, Windows). The SVG File and ECMAScripts are free to use. If you do any substantial improvements, please send back your improvements to the author. The GUI elements of carto.net are licensed under the terms of the LGPL license and you need to distribute the license with your code. Additionally, you should create a link to carto.net in your project's "about page" or impressum. If you plan to use the GUI elements in a commercial product, please check back with the author of the GUI elements to investigate arrangements. The original URL for the navigation tools is http://old.carto.net/papers/svg/navigationTools/. Note that any map data that you use in this environment has to be y-axis inverted. In typical GIS situations higher y(or up)-values are farer to the north (top) whereas in SVG its the opposite. Changing your data is relatively easy: use the original coordinate system and multiply each up-value with minus 1. Our Shapefile to SVG converter does this inversion for you, so does postgis.refractions.net Postgis. It is not recommended to flip the entire map using a transform attribute, since you would also flip text labels. The file index.svg uses 3 different coordinate systems. The outermost coordinate system is device oriented (screen pixels) and should be adjusted to your needs. It is defined in the svg root element (line 4) in the viewBox attribute. (If you don't know the concept of the viewBox coordinate systems, please check with the www.w3.org/TR/SVG11/coords.html#ViewBoxAttribute SVG specification, chapter 7.7) In the same element we define the width and height to 100% and disable zooming and panning (zoomAndPan="disable"), since these functions will be replaced by our own functions. If you design for regular desktops, we recommend that you more or less keep the screen oriented coordinate system as we defined it in the svg root element. Please note, if you considerably change the screen oriented coordinate system, you will also need to adjust the size of the symbols later in the file to reflect your coordinate system changes. The second coordinate system is the coordinate system of the main map window. We define it within a nested <svg /> element. This coordinate system is defined in "real world" units, e.g. meters or degrees. In our example we defined the coordinate system in meters, reflecting UTM zone 11 coordinates. Note that in our viewBox coordinate system the y-axis is inverted, since map coordinate systems usually run opposite to the SVG coordinate system. For your own map, search for the line starting with <svg id="mainMap" ... and adjust the viewBox, width, height, x and y attributes to reflect your coordinate system and placement of the map within your screen coordinate system. Please note, that for the script to work correctly, we assume that the ratio of the outer width and height of the mainMap is the same as the width and height defined in the viewBox in real world coordinates. The third coordinate system is internally the same as the main map window coordinate system, which means that the viewBox attribute of the referenceMap should be the same as in the mainMap. Search for the line starting with <svg id="referenceMap" ... and adjust the x, y, width, height and viewBox attributes to match your layout and map coordinate system. Please note that the script is designed in a way that you need to first define the maximum viewBox. If you want to initally start the application with an already zoomed in viewBox, you should still fill in the full values in the initial SVG file and later call the mainMap.setNewViewBox() method as described below. zoomFact (number): a zoomStep factor (between 0 and 1), the zoomStep factor defines how much we'll zoom in and out when pressing the plus/minus buttons. A value of 0.6 means, that after zooming in, the next map extent is 60% of the previous extent. mouseMoveBool: a boolean flag indicating if we want instant feedback while moving the slider or no (in our case true). Next you need to reposition or adapt your navigation tool buttons to fit in your map layout. All buttons make use of the button object. They are created per script. Some of the buttons are implemented as simple "button" objects, some of them are "switchbutton" objects. For details of the button properties and methods please see the following documentation. You can adapt the look and feel of the button and symbol instances using presentation attributes or CSS styles. All symbol definitions are implemented with <symbols /> (residing in the <defs /> section). Each button also needs an empty group in the DOM hierarchy where the new button geometry can be appended. This empty group needs a unique id which has to match the parameter one in the button constructor. In our example, look for the group after the XML comment line <!-- this group holds symbol instances for navigation tools -->. To reposition all buttons as a whole group you may add transform attributes on the parent group of the button groups (e.g. transform="translate(10 10)"). Please note that you should change the button settings with care. You should only adapt the position, width and styles of the button, and not the related function calls or ids, otherwise the navigation functions won't work. If you want to delete one button, it is better to set the display or visibility of that group to "none" or "invisible", otherwise you would have to modify the navigation scripts. This line creates a new array in our global "myMapApp" object instance to hold all references to the zoom and pan buttons. Constructor of button object see button documentation. Note that we use both button and switchbutton objects that have slightly different constructors and behaviour. Note the way how we create the Array of Literals defining the presentation attributes of the button look. After creating the buttons we call the .checkButtons() method of the myMainMap object instance. This method analyzes the current map extents and disables/enables buttons. In some situations buttons should not be active. As an example, if the map is in full view, the "zoomOut", "panManual" and "recenterMap" buttons are deactivated. This method is called after each change of the map extent. The last line calls the function loadProjectSpecific(). This function is always called, after resetting the map extent, e.g. after zooming and panning. In this function you can react to the changed map extent. In our example we reset the numbers indicating width and height of the map extent and change the line-width of the national park boundary to a fraction of 0.005 of the current map extent. If you remove the park boundary from the mainMap layers, you should also remove the last line in this function, otherwise you will get error messages. If you dynamically load map layers from databases or webservices, you can use this function to update the map geometry. This is described in the tutorial Dynamic Loading of Vector Geodata for SVG Mapping Applications Using Postgis, PHP and getURL()/XMLHttpRequest(). You should now test the functionality of the zoom and pan tools again. If you receive error messages, or something behaves strange, please check back with the instructions above. First, you create an array for checkBox elements in the global myMapApp object instance. Next you define the styles, similar to what we have discussed above, and finally you add checkBox instances following the instructions at the checkbox and radiobutton tutorial. In this last step you need to work on the styling of the map layout. Simply replace all the fill, stroke, opacity, font-attributes, etc. as you like. Next to these XML attributes you might want to adjust positions of layout elements and add map titles, imprint, data sources, etc. Note that it is easier to move elements in groups, e.g. <g transform="translate(50 100)"> For positioning elements and testing the functionality of the navigation tools it is recommended to use xml.apache.org/batik Apache Batik since it displays the viewBox coordinates in the status bar of the squiggle browser. Additionally, it offers usually more meaningful error messages than other browsers and it features a js script debugger. See in the section above (step 4). resets the map extent to your new given map extent. As parameters you define the two corners as number values. Note that you should use the map coordinate system (most of the time positive values, on the northern hemisphere), which means that ymin is "bottom of the map" and "ymax" is "top of the map". If your defined rectangle does not match the ratio of the map it will be changed to fully contain your given rectangle and match the given width/height ratio of the main map. The method changes the map extent of the mainMap and also resets the position of the dragging rectangle in the reference map. 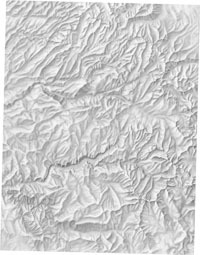 The last parameter (history) takes the values true|false and indicates whether that given map extent should be stored in the history of map extents. calculates map coordinates from the original evt.clientX/evt.clientY coordinates. As parameters you pass over the evt object that also holds the coordinate values where the evt occured. The result is a literal containing the east value ("x") and the north value ("y"). checks if the given coordinate is within the current map extent, returns a boolean value (true|false). Note that the ycoor should be given in the original map coordinate system, not in the inverted one. It will be inverted internally in the method to match the viewBox coordinate system. checks if the given SVGRect is completely within the current map extent, returns a boolean value (true|false). The parameter is of type SVGRect, it can be returned e.g. by calling the method element.getBBox(). The SVGRect has to be in the same coordinate system like the content of myMainMap. checks if the given SVGRect overlaps with the current map extent, returns a boolean value (true|false). The parameter is of type SVGRect, it can be returned e.g. by calling the method element.getBBox(). The SVGRect has to be in the same coordinate system like the content of myMainMap. highlights the given coordinate in the main map and reference map by placing a crosshair with the given presentation attributes. The third parameter is of type boolean (true|false) and defines whether the location should be highlighted in the reference map or not. The highlight cross disappears with the next zoom or pan action or if you call the method .hideHighlightCross(). removes all temporarily added elements and event listeners from the main map and linked reference map. This method can be useful if you switch between different views/settings, e.g. country/continent/world, where you have to reset values and re-initialize the map object and dragObj. showExtent() is a standalone function that alerts the current map extent. In our example this function is attached to the tiny rectangle in the lower right corner of the mainMap. Clicking on that rectangle activates this function. This function is dependent on the existance of the "myMainMap" instance of the "map" object. loadProjectSpecific() is a standalone function that is always called when the map extent changes. It can be used to adjust dependent map elements accordingly or restyle them in dependency of the current map width. holds the width of the current map extent; this value can e.g. 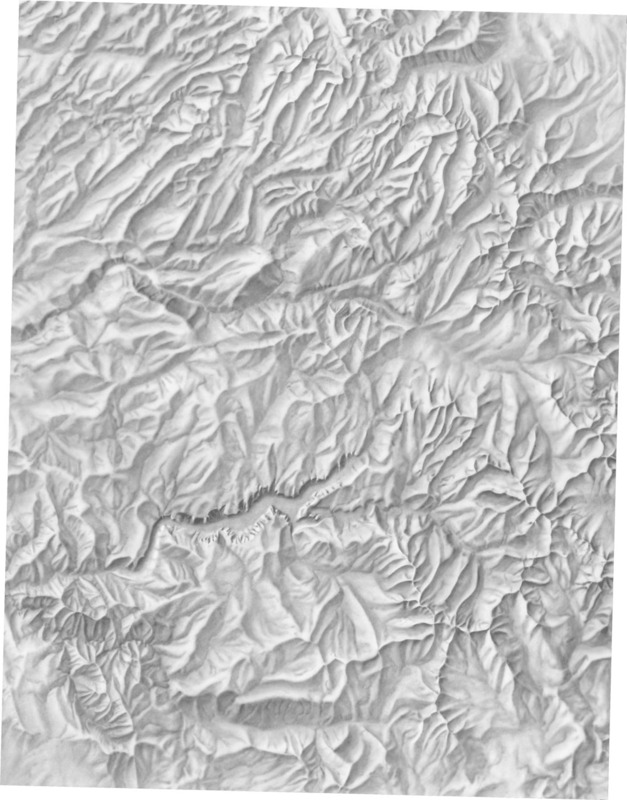 be used to resymbolize stroke width and text-sizes after resetting the map extent. The function loadProjectSpecific() could be used for that purpose, because it is called every time the map extent changes. is an associative array containing the number of dynamic layers to load. key in the array is the current timestamp, value is the number of dynamic layers still to be loaded. Value is zero if all layers are loaded. This variable can be useful if you want to start a certain action only after all dynamic layers are loaded. the epsg projection nr of the map, this can be used to build URL strings for loading data from OGC services, such as WMS or spatial databases. 1.01 (2005-02-15): added cleanUp() method to map and dragObj object. Some fixes in the documentation. 1.02 (2005-02-20): fixed problem if user used a double click at buttons instead of a single click. The second click of a double click is now ignored, using the evt.detail property. 1.03 (2005-02-22): introduced timestamp and nrLayerToLoad array for dynamic loading (getUrl).